Pack containing approx 500 seeds for all year round sowing and cropping. Basil (Sweet Green) Ocimum basilicum Half hardy annual. A must in so much Southern European cookery, the flavour complements chicken and tomato dishes and is also great with eggs. Superb in salads too! Grow in a warm sunny but sheltered spot for best results. 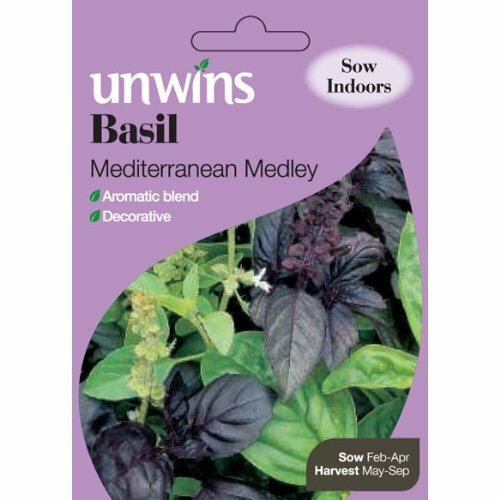 If you would like further information about Unwins 'Sweet Green' Basil Seeds, please contact our garden centre at Shawbury just outside Shrewsbury in Shropshire, by calling 01939 251315 or emailing.